PEDAL’s Board of Directors meet on a monthly basis to mon­it­or the company’s fin­ances, determ­ine com­pany policy, and provide over­sight of the pro­jects. There are 12 spaces on the PEDAL Board, and up to nine of these are open to ordin­ary mem­bers of PEDAL who are elec­ted at Annual General Meetings. The remain­ing three spaces are for Directors co-opted by the Board – these can be PEDAL mem­bers or oth­er people who have rel­ev­ant skills and exper­i­ence. Our cur­rent Board mem­bers are lis­ted below, along with a short pro­file of their skills, exper­i­ence and interests. Community garden­ing and organ­ic farm­ing has played a major role in build­ing my pas­sion to bring about envir­on­ment­al change in our com­munit­ies, from Hulme com­munity garden in Manchester to Bath Street com­munity garden in Portobello. Official work place­ments and edu­ca­tion have also played a part: for example, my final year research pro­ject at Glasgow School of Art focused on urb­an food pro­duc­tion, and my work in Inverness focused on energy effi­cient homes, pre­par­ing veg boxes, and garden­ing more gen­er­ally. I have lived in Portobello since January 2013, with my two year old daugh­ter, Alice and hus­band Hugh. As new­comers to the area, we are keen to involve ourselves in the com­munity, trans­ition group and loc­al envir­on­ment­al agen­das. I am also cur­rently a mem­ber of an act­ive 8 piece band, play­ing the sax­o­phone and cla­ri­net. We write our own songs and gig reg­u­larly in and around Edinburgh. I grew up in the Scottish Borders town of Selkirk which gave me a strong sense of com­munity. During my 25 years of work as a GP in Portobello I lived here too and con­tin­ue to do so. I have an interest in healthy, sus­tain­able, loc­ally pro­duced food; hence my mem­ber­ship of Slow Food. Last year I estab­lished Portobello Apple which seeks to be a non-profit mak­ing com­munity net­work link­ing loc­al apple grow­ers with loc­al con­sumers. I have also act­ively sup­por­ted the Portobello Market and Portobello Community Orchard. Further afield I have been involved in Breadshare, a bread­mak­ing social enter­prise and also in the private fin­an­cing of loc­al busi­nesses. I believe that com­munit­ies like Portobello need to be work­ing towards great­er resi­li­ence in cop­ing with future chal­lenges wheth­er cli­mat­ic, eco­nom­ic or cul­tur­al and whatever the under­ly­ing causes. There are pro­found dif­fi­culties in this. Working with trans­ition organ­isa­tions like PEDAL offer the best way of mak­ing pro­gress. Diana worked for two blue chip com­pan­ies, in the energy and fin­ance sec­tors, for over 20 years. Her back­ground is in train­ing and organ­isa­tion­al devel­op­ment, with exper­i­ence in design­ing, deliv­er­ing and eval­u­at­ing train­ing, design­ing organ­isa­tion­al level devel­op­ment strategies and pro­ject man­age­ment. She has been involved in a num­ber of suc­cess­ful high pro­file loc­al cam­paigns for envir­on­ment­al justice, includ­ing Portobello Campaign Against the Superstore and Portobello Opposes New Garbage Site. Diana has lots of exper­i­enced in organ­ising and run­ning events and fun­drais­ing, and is involved in a num­ber of oth­er loc­al groups. Ian was born and raised in Portobello. He worked for 27 years in com­munity devel­op­ment roles in Edinburgh and Greater Glasgow, and through suc­cess­ive loc­al gov­ern­ment re-organ­isa­tions. Ian is author of Radical Community Work: Perspectives from prac­tice in Scotland, writ­ten with Mae Shaw. He is cur­rently Director of Development Trusts Association Scotland, the com­munity-led regen­er­a­tion net­work and nation­al trade asso­ci­ation for com­munity devel­op­ment trusts. In addi­tion to his com­munity devel­op­ment exper­i­ence, Ian brings skills in stra­tegic plan­ning, organ­isa­tion­al devel­op­ment and fin­an­cial man­age­ment. Stephen is a Chartered Building Surveyor with extens­ive exper­i­ence of work­ing in loc­al gov­ern­ment, hous­ing asso­ci­ations and the health ser­vice. He has been a part time lec­turer in hous­ing main­ten­ance and build­ing sur­vey­ing at Heriot Watt University, and, between 2007 and 2012, was one of three Councillors for the Portobello/Craigmillar ward on City of Edinburgh Council. Stephen attends Portobello Community Council and has a long involve­ment in loc­al affairs, includ­ing sev­eral suc­cess­ful loc­al cam­paigns and pro­jects. He has skills and exper­i­ence in prob­lem solv­ing, pro­ject man­age­ment, budget­ing and con­trol of expendit­ure. He also holds a Master in Business Administration degree from Edinburgh University, and is an asso­ci­ate of the Chartered Institute of Housing. Stephen’s par­tic­u­lar interest is in integ­rated energy man­age­ment and reduc­tion in urb­an areas. Justin chaired PEDAL from its incep­tion in 2005 until 2010 when he shif­ted his focus to oth­er PEDAL pro­jects, and oth­er com­munity cli­mate change work. In 2009 he stopped lec­tur­ing in social anthro­po­logy at Glasgow University to focus on sup­port­ing com­munity responses to cli­mate change. He helped devel­op a strategy for Fife Council to sup­port com­munity car­bon reduc­tion ini­ti­at­ives; and worked with ini­ti­at­ives across Scotland to build com­munity resi­li­ence Holyrood 350. His cur­rent work focuses on sup­port­ing forest peoples in Central Africa to regain their rights to their lands. He has lived in Portobello since 1998 with Eva and their 3 boys (with brief peri­ods liv­ing on Eigg and in Falkland), and is inter­ested in how ‘loc­al to loc­al’ con­nec­tions — across Scotland, and across the Global North/South divide – could rad­ic­ally re-ener­gize nation­al and inter­na­tion­al action for sus­tain­ab­il­ity. 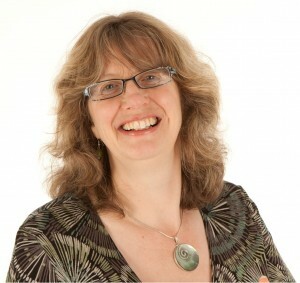 Mandy works for City of Edinburgh Council, cur­rently with the cor­por­ate Business Intelligence team. She brings 2 dec­ades of pro­fes­sion­al exper­i­ence in eco­nom­ic devel­op­ment, com­munity devel­op­ment, adult learn­ing and pro­ject man­age­ment in the pub­lic and vol­un­tary sec­tor. Mandy has volun­teered with PEDAL for sev­eral years and has a strong per­sonal interest in sus­tain­able liv­ing. She recently spent two months liv­ing and work­ing in Findhorn Foundation eco­v­il­lage in the north of Scotland. Peter is a com­munity act­iv­ist who has lived in Edinburgh for 12 years. Peter came to Edinburgh to study geo­graphy, pub­lic policy and crit­ic­al the­ory. His thes­is was on land reform in Scotland. While at University, Peter was President of Edinburgh People and Planet and Vice President of the Students’ Association (EUSA), dur­ing which time he cam­paigned for car­bon reduc­tion, Fair Trade and eth­ic­al invest­ment of Edinburgh University’s reserves. He worked for the Scottish Council for Voluntary Organisations and acted as Chair of Transition Support Scotland, an organ­isa­tion that sup­ports Scotland’s Transition Towns move­ment. Peter lives in Portobello with his part­ner, Maggie. He has been act­ive in PEDAL since its cre­ation. He has par­tic­u­lar interests in com­munity own­er­ship and land reform. Peter is an edit­or of the Bright Green blog, and is cur­rently Rector of Edinburgh University. After com­plet­ing a degree in Microbiology & Virology in 1985, Neil worked for the University of Nottingham Department of Pharmacology doing research for a well-known house­hold products man­u­fac­turer. He went on to work for Scottish & Newcastle Plc in 1990, first in fer­ment­a­tion research and then as Pilot Brewery Manager, where he was instru­ment­al in brew­ing and pack­aging design­er beers. He later became Consumer Relations Manager for the UK, com­pleted his MBA and became an aud­it­or for BSI. Unfortunately, due to ill health, Neil was retired from this role in 2009, but fol­low­ing a full recov­ery is now look­ing for a new career. His interest in PEDAL came about through being involved in the Donkeyfield Orchard, and the oppor­tun­ity to become more involved in the com­munity was too good to miss. Neil lives in Portobello with his wife, Lorna, and their son Alexander. He is an affil­i­ate mem­ber of the Chartered Institute of Personnel and Development.